Got my tracking today, glad to get shipping after the month and half delay! Depends on delivery address relative to the origin point, I suppose. I live in California and half the time UPS delivers a day ahead of schedule. It's happened with both Ground and SurePost services. Maybe I'm just spoiled by USPS getting stuff across the country in <=48hrs. Now to build the board it'll live on. Anyone interested in selling their camping set? Got mine in today, caps look great. 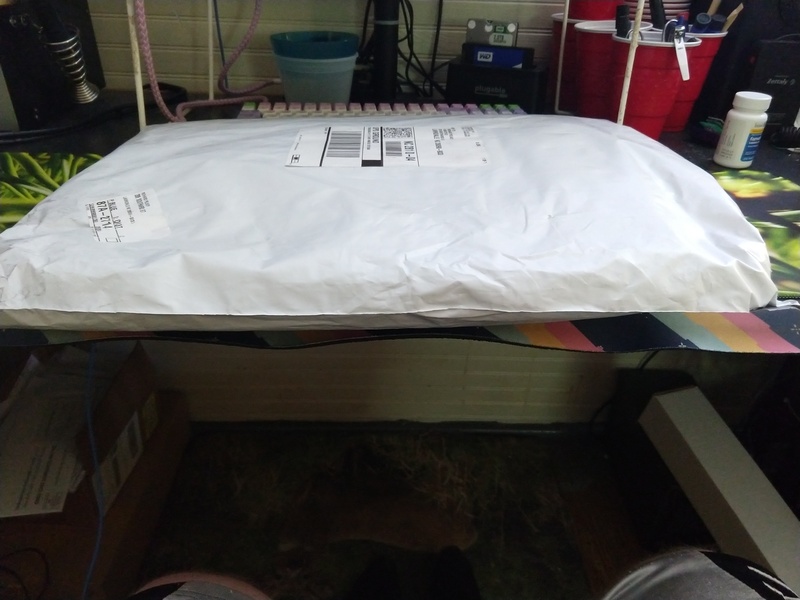 On a side note keyset was shipped in poly bag that arrived half open. Thankfully nothing missing but half of bubble wrap around keyset was off so my plastic tray is cracked and the banderole is bent and pockmarked. Thanks for the update. Woot! placed an order for a set. I really dislike those types of reviews as they are not reviews of the product itself. Where else are people supposed to show their distaste for a company and their practices? I don't think anyone would say Kono handled the shipping situation with this set well. If someone has a problem with the way a company handled a product, and they purchased said product, there's really no better place to put these things. I don't have an answer for you in this case, but those reviews are still not representative of the product itself. I don't think it's a good practice to tank an individual product's rating when the ire is directed at the company as a whole. Amazon, for example, has seller feedback separate from product reviews. Amazon has also created a site where additional sellers can sell products. Kono is an individual seller. Maybe if Kono had a "provide overall feedback for our lack of communication skills here" button right on the main page, people could use that. As it stands now, there isn't one, so people use what they can to leave feedback. Yes, I understand that. I still don't like it. As they are allowed to complain about Kono, I am allowed to complain about them. The 1 star reviews are super whiney. If you are unhappy with their business you should Email kono.store support or write about it in your diary. We expect to have the shipment of deskpads sometime towards the end of next week. Once we get them, we will ship out. There will be a few extras available. We will announce when they are for sale. Received my set today. 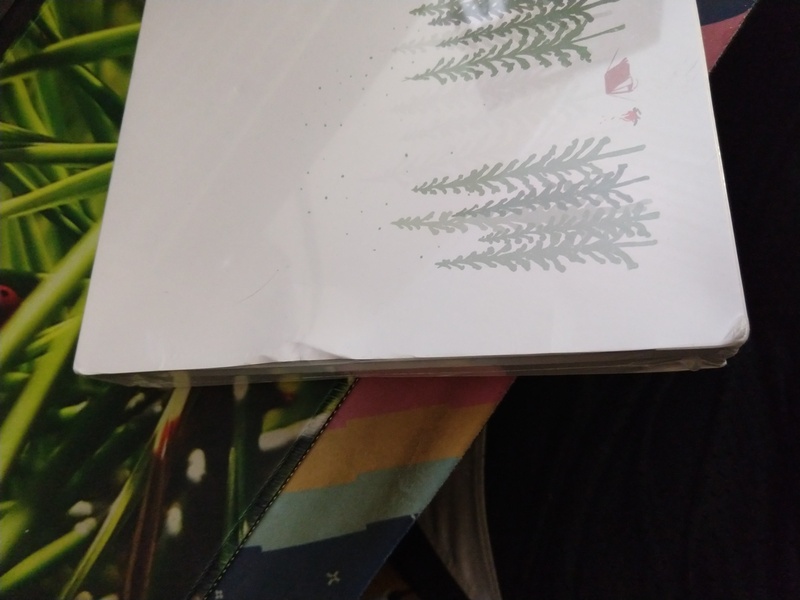 Something to note is that the GMK tray was just in a poly mailer with a single wrap of bubblewrap instead of a box like I'm used to GMK sets arriving in. Everything seems fine I guess as the condition of the banderole doesn't concern me greatly, though it does concern me how it could have easily been worse off shipped like this. You don't get to see the set laid out perfectly, but it sure makes the dimensions more shipping friendly. 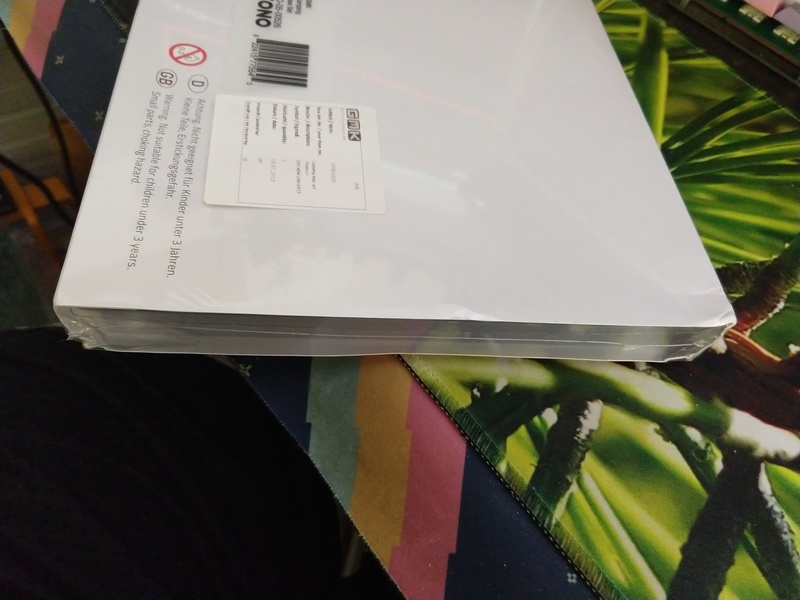 Yeah, Imo Maxkeys has the ideal set packaging for shipment since their trays come with their own box, but that mostly works cause their sets are small enough to fit them. Sets the size of GMK kits might have a harder time in a setup like that. Edit: Actually opened my set when I got a bit of time. Definitely as good as I thought it would be. Seems to me the red that looked to be sort of a brick red in the renders definitely has more brown in it irl, but other than that everything's great and I can't wait until I can afford a board to put it on since I don't really want to put it on any pretool Jades. Mine was also in a somewhat poorly packed bag. The boxing is bent a bit at the corners, but the keys are fine. I have made mention of the poor packaging to the Support team in Kono Store and they have noted this albeit I am unsure whether it will still affect future shipments within GMK Camping. They are also willing to refund $3 for damage on banderoles. Thanks again The_judge_168 for letting me know it was in stock. Probably won't keep it on this board for long, but it looks nice here. These will most likely also end up on MD in the future.